Stefanie Walch-Gassner specializes in the physics of the interstellar medium including star formation and stellar feedback in the form of ionizing radiation, stellar winds, and supernovae. The evolution of gas in galaxies is studied using massively parallel, three-dimensional magneto-hydrodynamics simulations with additional (self-)gravity, radiative transfer, and chemical networks to follow the formation and dissociation of molecules and to bridge the gap to observations in different tracers. Synthetic observations ranging from mock Halpha to CO and dust polarization maps are now used to put modern theories of star formation and feedback to the test. More information about the TAG (Theoretical Astrophysics Group) team of Stefanie Walch-Gassner can be found here. In novel galactic zoom-in simulations, we study the formation of turbulent molecular clouds out of the multi-phase interstellar medium. This shows that complex filamentary substructures found in all molecular clouds are imprinted during their formation. 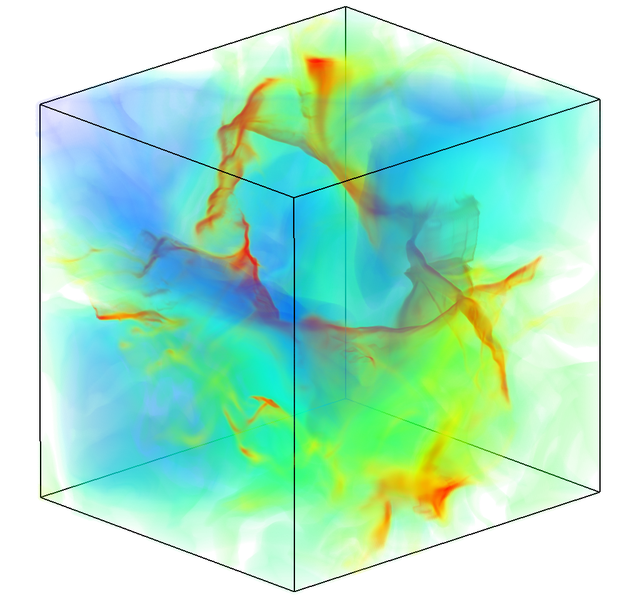 Seifried, D.; Walch, S.; Haid, S.; Girichidis, P.; Naab, T., Is molecular cloud turbulence driven by external supernova explosions?, accepted for publication in MNRAS, (2018). Wünsch, R.; Walch, S.; Dinnbier, F.; Whitworth, A., Tree-based solvers for adaptive mesh refinement code FLASH - I: gravity and optical depths, accepted for publication in MNRAS (2018). Seifried, D.; Walch, S.; Girichidis, P.; Naab, T.; Wünsch, R.; Klessen, R. S.; Glover, S. C. O.; Peters, T.; Clark, P., SILCC-Zoom: the dynamic and chemical evolution of molecular clouds, MNRAS, 472, 4797, (2017). Peters, T.; Zhukovska, S.; Naab, T.; Girichidis, P.; Walch, S.; Glover, S. C. O.; Klessen, R. S.; Clark, P. C.; Seifried, D., The turbulent life of dust grains in the supernova-driven, multiphase interstellar medium, MNRAS, 467, 4322, (2017). Gatto, A.; Walch, S.; Naab, T.; Girichidis, P.; Wünsch, R.; Glover, S. C. O.; Klessen, R. S.; Clark, P. C.; Peters, T.; Derigs, D.; et al., The SILCC project - III. Regulation of star formation and outflows by stellar winds and supernovae, MNRAS, 466, 1903, (2017). Girichidis, P.; Walch, S.; Naab, T.; Gatto, A.; Wünsch, R.; Glover, S.C.O. ; Klessen, R.S. ; Clark, P.; Peters, T.; Derigs, D.; Baczynski, C., ”SImulating the LifeCycle of molecular Clouds (SILCC) - II. Dynamical evolution of the supernova-driven ISM and the launching of outflows”, MNRAS, 456, 3432, (2016). Girichidis, P.; Naab, T.;Walch, S.; Hanasz, M.; Mac Low,M.-M.; Ostriker, J. P.; Gatto, A.; Peters, T.; Wünsch, R.; Glover, S.C.O. ; Klessen, R.S. ; Clark, P.; Baczynski, C., ”Launching Cosmic ray-driven Outflows from the magnetized interstellar medium”, ApJ Letters, 816, 19, (2016). Walch, S.; Girichidis, P.; Naab, T.; Gatto, A.; Wünsch, R.; Glover, S.C.O. ; Klessen, R.S. ; Clark, P.; Baczynski, C.; Peters, T., ”SImulating the LifeCycle of molecular Clouds (SILCC) - I. Chemical evolution of the Supernova-driven ISM”, MNRAS, 454, 238, (2015). Derigs, D.; Winters, A. R.; Gassner, G.; Walch, S., A novel averaging technique for discrete entropy-stable dissipation operators for ideal MHD, Journal of Computational Physics (JCP), 330, 624, (2017).